A good murder deserves a good wine. Or at least it did last Sunday at Isenhower Cellars in Woodinville, WA. Thanks to the generosity of owners Denise and Brett (and the help of Sima and Joni in the tasting room itself), I was able to offer a book signing for Ghost Music as part of Isenhower’s latest wine release party. It was a great event to be a part of. 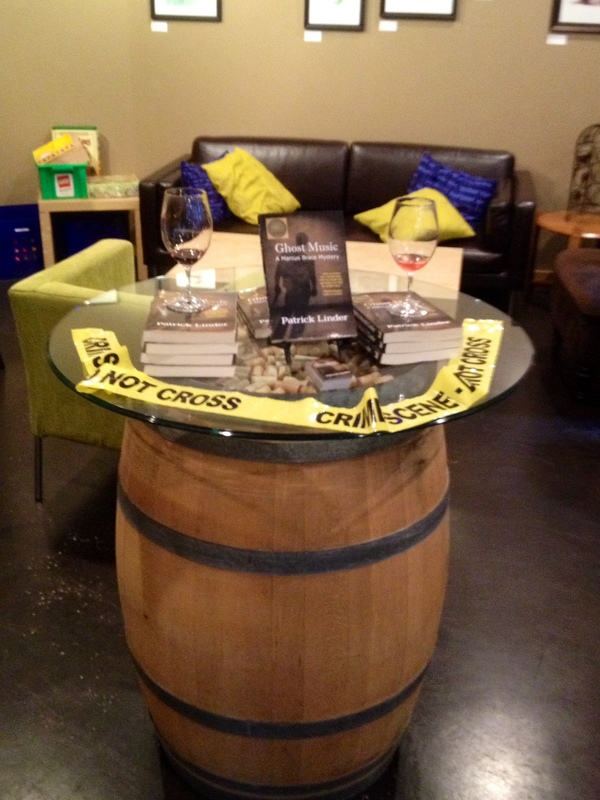 Katie and I festooned a wine barrel with Crime Scene tape to help set the book-signing stage. I always love having a chance to talk to other readers, and I came away with several new books added to my “to-read” list. The only thing I wish we would have also brought along was a sign-up form for those interested in joining my email list. I wish I had a way to stay in contact with all of the readers and supporters we met. 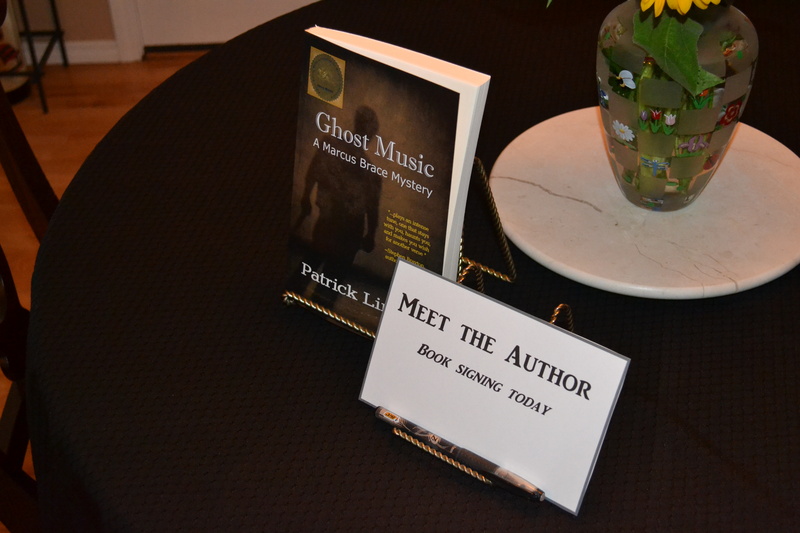 Not only did I quickly sell out of the books that I brought along, I also talked to three different book clubs that are interested in reading Ghost Music. Fingers crossed that we can make this work. I’ve already put together a set of extras for book clubs, including “deleted scenes” bonus material and a list of questions to talk about. I love talking about writing and enjoy having a chance to tell others what I was trying to accomplish with my book. And if a book club just happens to have some wine around during book club time, well, that works great for me too. I’m hoping to travel to meet each book club in person and would very much like that process to become a regular part of my book support—if you have a book club and would be interested in making Ghost Music one of your reading selections, let me know. The newly released Isenhower wines were, predictably, wonderful. The Dutchman Vineyard Syrah, in fact, already found a home in our wine rack. If you ever get a chance, definitely stop by the Isenhower tasting room in Woodinville or in Walla Walla. As I told Denise, it’s great wine by great people. Sunday’s combination of Syrah and a Seattle murder mystery was terrific—a special thank you also goes out to Sheryl K for suggesting we hold a book signing at the wine release party. She’s been a huge supporter from the start, and I greatly appreciate her help with getting this put together. So, thank you Denise, Brett, and Sheryl. Hopefully we can do this again sometime. I’ve loved mysteries my entire reading life. I started The Hardy Boys and collected every book in the series. I still remember going to Al’s Used Bookstore every week or so as a kid and looking for the books I needed to complete the set. I kept all of those Hardy Boys books and even handed them down to my son recently. As I grew older, the name of the series changed, but that impulse to read mysteries never wavered: Joe and Frank Hardy simply made way for Dave Robicheaux (James Lee Burke), Harry Bosch (Michael Connelly), Patrick Kenzie and Angie Gennaro (Dennis Lehane), among other recent favorites. The great appeal of mysteries, for me, is that they attempt to make sense of what is otherwise chaotic. A mystery is basically a story that gives meaning to what is otherwise confusing or even dangerous. And if you think about it, the hope of finding a master thread in the midst of the unknown is about more than an individual crime—that broader desire for meaning is part of just about everything we do in life. Mysteries just happen to give it to us in a neat and exciting package. I also love mysteries because there is often an exploration of good vs. evil, and of all the gray in between those extremes. I’m a fan of the gray, both when reading and writing. Most of us live in the gray and that makes seeing characters struggling with good and evil in crime fiction all the more appealing. The joy of writing is that it forces me to think very clearly about how important stories are to everyday life. Narrative helps us find (or create) meaning while navigating those gray waters between good and evil. Stories reveal how seemingly disconnected events are, in fact, tied together as part of a broader whole. That same sense of narrative and making sense of chaos is what so intrigues me about how the past and present interact. I’m fascinated by how the past continues to live in the present and my characters often find themselves pulled by this same energy. 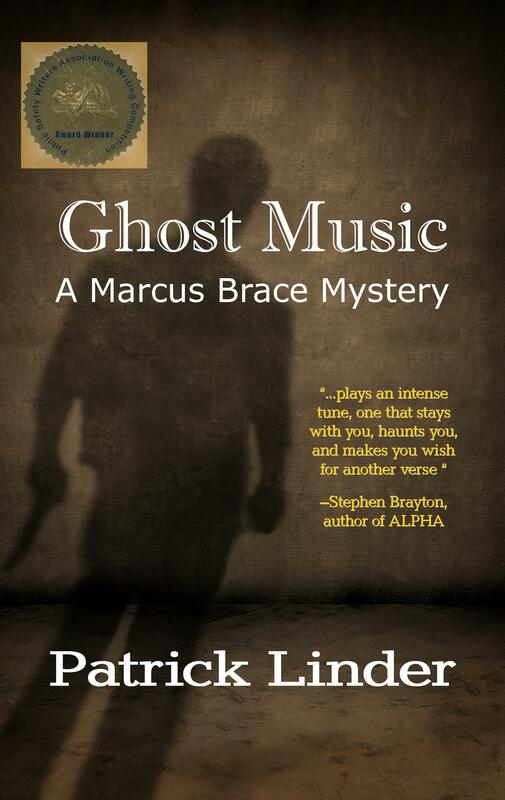 In my novel Ghost Music, for instance, Seattle Detective Marcus Brace has been doing his best to ignore a traumatic family past, only to receive a phone call that forces him to confront everything he’s been running from. He can’t escape the past. And neither, he learns, can the murderer. When the killer targets those closest to him, Marcus finds himself on journey not only to find a murderer but also to solve a family mystery that has been hidden for decades. In a sense, Ghost Music is a mystery that also challenges how we think about history. The Seahawks won the Super Bowl. It’s starting, finally, to sink in. With no more football games for the year, I’m moving past that adrenaline-fueled binge into what I suppose is acceptance and even reflection. After the game, after the win, after the confetti, after the parade, where are we? What, in short, has all this meant? This hasn’t been an ordinary football season. And this feels like winning more than a championship. It’s about life and meaning and purpose. Stick with me. I don’t mean that we learn about teamwork and goal-setting and the triumph of the spirit. We do, but we all have heard that before. That’s a pre-game speech or post-game reflection that I know we can do better than. There’s more here with this win, in this city, with this collection of players. Like just about everybody (except perhaps the ebullient Pete Carroll and the ever gracious Russell Wilson), at times I don’t like my job. Don’t get me wrong, it’s a great job, with great people. But there’s always that sense lurking that gnaws away. Like all jobs, sometimes it bores me. Sometimes it doesn’t feel important. But those are surface responses. At root, for most people, everyday jobs are taunts about unfulfilled potential and losing dreams. We all think we coulda been contenders. But so few of us ever are. Seeing your team not just contend but prevail feels like all of that unfulfilled angst is momentarily erased. There’s a moment of transference, an alchemy in which disappointments are turned to gold and that sense of personal frustration is washed away by the team that you have followed and connect with. When your team stands at the top of the mountain, it feels like you’ve climbed it with them. This temporary merging of yourself with your team is why all of those crazy sports superstitions seem to make sense. For the Super Bowl, I wore the exact same clothes, including the socks and boxer briefs, that I wore when we defeated San Francisco. I always open my Fremont Interurban IPA when the ball is in the air during kickoff. I eat Skittles only during the game. That cathartic moment when your everyday frustrations and shortcomings are erased by your favorite team grabbing the brass ring might make sense to lots of people, no matter where you live. But for those of us in Seattle, there are communal layers of frustration on top of the individual ones. We haven’t had a major championship since the Sonics in 1979. To dump salt in that wound, the Sonics aren’t even part of our landscape anymore. In that way, the 1979 championship isn’t just decades in the past; it’s a ghost, a haunting remnant from a part of the city’s identity that was sold away. (And don’t kid yourself, it hurts seeing Durant and imagining that the Sonics were still here. But that’s just dreaming). We’ve also had a record-setting Seattle Mariners season end abruptly—another dream unfulfilled. We’ve had our favorite players leave for pastures filled with more green bills. We’ve had a communal inferiority complex that rolls east coast bias into Cali-focused bias. We’re ignored. We’re seen as not quite good enough. We’re the cute younger cousin whose precociousness is precious, not respected. All of that came tumbling, for me at least, into the constantly bubbling feud between the Seahawks and 49ers and particularly the flap over Richard Sherman’s comments to Crabtree and gestures to Kaepernick. Let me come clean up front: I can’t stand the 49ers, especially Kaepernick. But I also loved Sherman’s comments because it gives voice to that simmering, ready to explode fire beneath the surface of this community. His comments demand attention. His self-confidence is refreshing in this city, which is all too often overly polite and/or passive aggressive. It’s a shot of personality that makes you look closer, at him and (to follow my comparison) the city itself. We need that. For similar reasons, I love Doug Baldwin playing with a chip (or a boulder, if you listen to his own comments) on his shoulder. As “Southeastern Alaska,” we’re too easily overlooked and dismissed. We know that we aren’t “appetizers,” but we too often feel like other parts of the country think of us that way. Largely, that’s on us. Baldwin reminds us that you can take that feeling of being overlooked and challenge it and rewrite it. We’re a damn good city—Cris Carter can Google us and see. As much as I love Sherman and Baldwin’s loud self-assurance, I also love the quiet confidence and more self-contained approach of so many of the other Seahawks. Kam talks with his hits, his shoulder yelling at you that the middle of the field is not to be entered lightly (just ask Vernon Davis or Demaryius Thomas). But he never gloats. Earl leads quietly but guess he’s the one Sherman always likes to sit next to before games. He’s the heart and soul of the L.O.B. Big Red Bryant gets the last word in the locker room before every game. Marshawn, of course, doesn’t like to talk to the media at all. And Russell Wilson isn’t just a leader on the field, he’s a model of community leadership and involvement off the field as well. We could continue down the roster but the point here is that I love this team because of the way the personalities blend. These Seahawks are Whitmanesque and contain multitudes. That’s not an accident. It’s engrained in the culture of the team (and I’d like to think it’s engrained in the culture of our amazing city as well). Coach Carroll lets each player be himself. He celebrates what makes each player unique and then works to help each individual become the best that he can be, in his individualized way. It’s a team built upon celebrating what makes each person an individual. It sounds counterintuitive, but not only does it work, it’s fun and invigorating and refreshing to watch. The Seahawks are, even more so than other teams, one made of many—e pluribus unum. That tie between Coach Carroll’s philosophy and a theory of civic identity and citizenship, I think, also helps explain our involvement as fans, our transformation of individual Seattleites into “12s.” The Seahawks make room for us as fans to be part of the team. This team has let us in, brought the 12s along every step of the way. They always thank us. They always let us share in the moment. They always help us feel part of what they are doing. It’s a unique bond for pro sports and a fan base. But to me it fits with the culture of the team: all are welcomed, all can help, all have something to contribute, and we’re all in this together. The players have embraced us as 12s and welcomed us and, together, we’ve turned the”Clink” into something astounding. For all of these reasons, I took my kids to the Super Bowl parade. I didn’t articulate all of this to my children, but I wanted them to feel the excitement, feel the pride, feel the sense of community. We are so damn lucky to have not just the Super Bowl champions but also a team that so clearly and continuously brings city and self closer together. So, Cris Carter and everyone else, we’re a damn good city, with a damn good team—Google it and see. Ghost Music has had great reviews and last week I was contacted by Lucy Walton at Female First, “the UK’s number 1 online women’s celebrity gossip and lifestyle magazine,” for an exclusive interview about my book, my writing process, and what’s coming next. Lucy asked some great questions and I enjoyed the chance to chat. Thanks Lucy! For those of you who are interested in learning a bit more about the background to Ghost Music or why I think crime fiction is about a quest to answer the big questions in life, head on over to read the interview. So far, the response has been fantastic: since it went live this morning, Lucy’s interview about Ghost Music has been shared over 1,600 times on Stumbleupon. 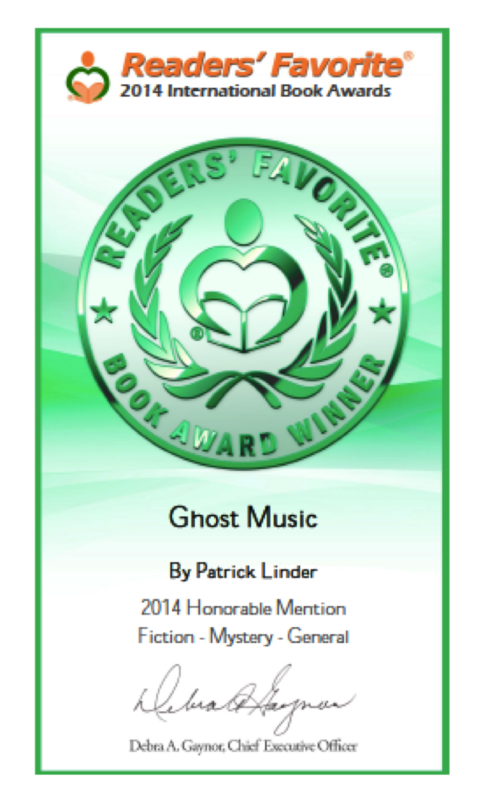 You can find Ghost Music at Amazon and on Goodreads. Please spread the word and if you’ve already finished reading it, adding a review at Amazon and Goodreads would be much appreciated.